What a beautiful home! I love the set up and location for her small family of farm animals and added little touches of decoration that create such a charming environment. 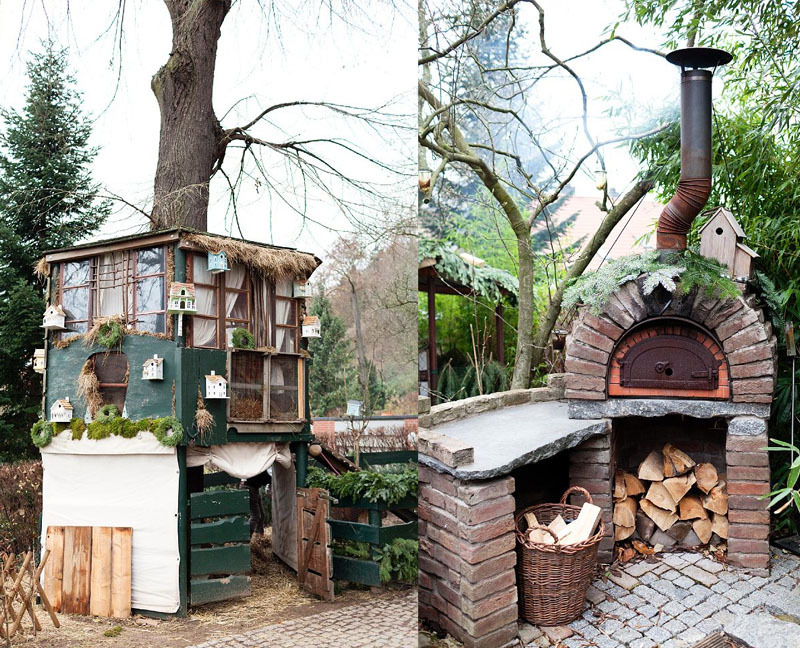 And how sweet is that rustic attractive space those sweet critters have to call home, it even has curtains. 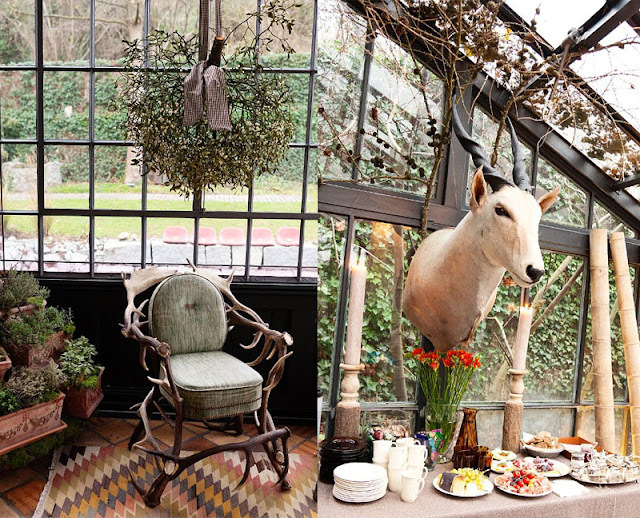 I also adore the antler chair, moss covered table setting pictured above and that sunroom!!! Find more pictures of this luxurious yet grounded home here at the selby. I cant get enough of enclosed patios!! Growing up in Florida it was a necessity, but after a few years of enjoying an open air California patio... i kind of want real furniture on the patio again!